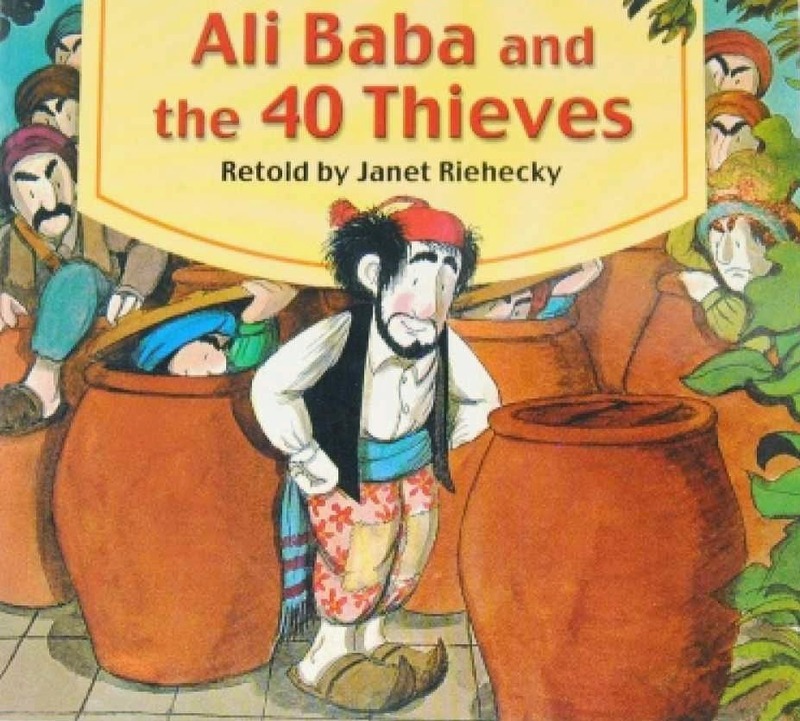 Ali Baba And The Forty Thieves is one of famous story from Arabian night stories. Moral lesson from this story is do not be greedy and always keep your eyes open in every place and every situation because we didn't know what will happen. Ali Baba, a poor woodcutter was in the forest when he saw forty thieves stop in front of a cave. The leader said “Open Sesame!” and before Ali Baba’s amazed eyes the sealed mouth of the cave magically opened and the men disappeared inside. To come out and close the entrance, the leader said “Close Sesame” and the cave sealed itself once more. Trembling with excitement Ali Baba waited till the thieves had left and then entered the cave after saying the magic words. To his delight he found lots of treasure. Ali Baba told his brother Kasim about the wondrous cave. Kasim set off to get some treasure for himself too. Sadly, he forgot the words to leave the cave and the thieves killed him. Ali Baba discovered his brother’s body in the cave. With the help of a slave girl called Morgiana, he was able to take Kasim’s body back home and bury it. Realising that someone else knew about their cave the thieves tracked Ali Baba down. The leader, disguised as an oil seller stayed with Ali Baba. He had brought along mules loaded with forty oil jars containing the other thieves. Clever Morgiana knew who the oil seller really was and poured boiling oil into the jars killing the other thieves. While dancing in front of the leader of the thieves Morgiana stabbed him. Ali Baba was saved and lived happily ever after.